The formula has worked in California, Florida and Paris. Now officials in Zimbabwe, eager to rebrand a country notorious for economic collapse and political violence, want to build a “Disneyland in Africa”. 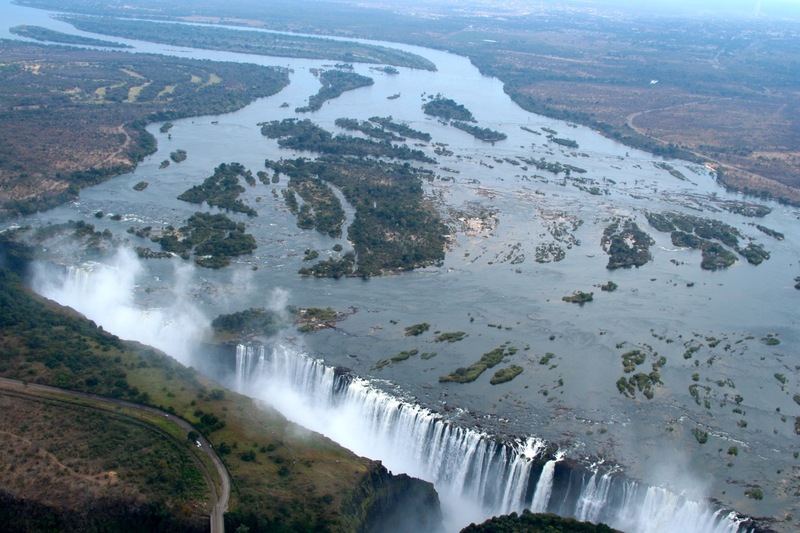 Walter Mzembi, the tourism and hospitality minister, told New Ziana, the official news agency, that the government was planning a $300m (£193m) theme park near Victoria Falls, the country’s top tourist attraction. Mzembi was quoted as saying the resort would be a “Disneyland in Africa”, although he did not appear to suggest that the statue of explorer David Livingstone, which overlooks the falls, would be supplanted by a jobbing actor in a Mickey Mouse costume. Instead, he outlined plans for shopping malls, banks and exhibition and entertainment facilities such as casinos. “We have reserved 1,200 hectares of land closer to Victoria Falls international airport to do hotels and convention centres,” Mzembi told New Ziana on the sidelines of the UN World Tourism Organisation (UNWTO) general assembly , which Victoria Falls is co-hosting with the town of Livingstone in neighbouring Zambia. Mzembi said the project would cost about $300m. “We want to create a free zone with a banking centre where even people who do not necessarily live in Zimbabwe can open bank accounts,” he said. The government has plans to invest $150m in expanding the town’s airport to accommodate bigger aircraft, according to the report from Ziana. Mzembi said the government had found funding partners including multilateral financial institutions. Visitors travel from across the world to see Victoria Falls where water plummets more than 100 metres into the Zambezi gorge, generating mists of spray so high they can be seen up to 30 miles away. A bridge linking Zimbabwe and Zambia offers bungee jumping but made headlines for the wrong reasons last year when an Australian tourist narrowly survived her cord snapping. The nearby town offers few reasons to linger or spend money, however, despite the launch last month of an open-top bus tour in an attempt to drum up interest. Mzembi hopes to appeal to a younger market. Zimbabwe’s considerable tourism potential was devastated by a decade of conflict and hyperinflation but has recovered in recent years. The government says it recorded a 17% increase in tourist arrivals in the first quarter of 2013, up 346,299 to 404,282. It has predicted the tourism sector will contribute 15% to GDP by 2015 if the country remains stable. Following a mostly peaceful, though bitterly disputed, election last month, Zimbabwe’s co-hosting of the UNWTO conference this week is seen as another milestone towards that stability. But the decision to award the conference to Zimbabwe as a co-host was condemned by the independent UN Watch human rights group as a “disgraceful show of support – and a terribly timed award of false legitimacy – for a brutal, corrupt and authoritarian regime. President Robert Mugabe’s associated status as UN “leader for tourism” has also been questioned by critics of his 33-year rule.